Marla and Justin’s wedding day was full of adventure and love, from a helicopter tour with the wedding party to an intimate backyard ceremony. Their unique destination wedding incorporated two different color palettes for the ceremony and reception, and guests were surprised with Polynesian dancers as entertainment during dinner! For the ceremony, the use of a neutral color palette of whites, creams and greenery complemented the natural beauty of the island, whereas a vibrant color palette using pinks, oranges, purples and yellows really showcased the tropical elegance of Hawaii for their festive reception. For Marla and Justin, celebrating their love in Maui was a no-brainer. They met on Spring break with their children at the Grand Wailea hotel, and it was love at first sight. Coming back to this very special place to exchange vows and make their love for one another official was nothing short of magical! We absolutely loved being a part of this gorgeous celebration and even more excited to have their day featured on Artfully Wed! Take a look below at all of the beautifully intimate details. Stephanie and Adam’s picturesque wedding day was beautifully different than what you would expect from a Hawaiian wedding. This American and Aussie couple choose Hawaii for it’s perfect meeting point for their family and friends to come from all over the world! However, they didn’t choose Hawaii for its white sandy beaches, but rather The Villa at the Calasa Gulch Olive Tree Farm located on its stunning mountainside! This romantic vineyard style location was perfect for their intimate wedding celebration, of 46 guests, to watch the couple walk down the aisle in a clearing amongst rows of olive trees! The celebration continued with a cozy food focused reception, with a family-style Italian meal, craft cocktails, and oven fired pizzas! It was a joyful celebration with friends and family and we were so thrilled to be a part of creating their magical day! Take a look below at all of the gorgeous details from Stephanie and Adam’s Hawaiian mountainside wedding! Hawaii is the mecca of voluminous blooms, lush greenery, horticultural illustrations and an abundance of stunningly natural details. Specifically, the island of Maui. Close your eyes and picture a wedding on Maui. White sand beaches, tall palm trees, fresh flower leis, vibrant colors; the uncompromised beauty of botanical details is ever-present in this exquisite one of a kind location. The island offers a gorgeous array of tropical gardens that are beautiful and tranquil places to house your upcoming Maui destination wedding. Layered with texture, prints and plenty of free-spirited beauty, no other style quite compares. So today, we are painting our page with plant-inspired textures and ideas to help you execute the vision of your own Maui botanical garden wedding. Picturesque landscapes with exotic trees towering over your ceremony space. Waves in foamy perfection crashing down in the background. The magnificence of mountains standing tall with flowing streams of tropical bliss. Blooming flowers sparkling in the sunny glow of their natural habitat. This is the kind of stuff wedding dreams are made of! However, when it comes to a destination wedding, beach wedding hairstyles can be a bit tricky. Heat, wind and humidity can alter your hairdo and leave you displeased with your look and pictures – and you didn’t come all this way to look anything less than amazing! Whether you are eloping to an exotic tropical locale or having a formal affair at an ocean front hotel, beach weddings never go out of style. Belle Destination has compiled some of our favorite beach wedding hairstyles from past clients that are as romantic and spontaneous as the atmosphere themselves. Check out these hairstyles that helped brides withstand a day in the sun. Laura and Marco’s stunning Maui wedding day was nothing short of spectacular. Located at a private estate on Maui’s South shore, the venue provided the perfect backdrop to their intimate ceremony and love-filled reception. Surrounded by their closest friends and family, Laura and Marco basked in the incredible emotion of this amazing moment and the joy was captured so perfectly in their gorgeous smiles. It takes just one look at these amazing photos to see how truly happy they are together. We had so much fun with this overall design blending Laura’s aesthetic concepts – classic backdrops adorned with modern elements. Her floral style was very unique, as she loved compositions of modern groupings of florals, long stemmed callalilies, mirrors, and tons of glass. The color scheme was white with dramatic shades of pink – the spectrum swinging from blush to burgundy, complimented by green. Their gorgeous archway complimented with a unique assortment of greenery and composed blooms, rose petal carpets aisle, and the elegant chair backings were the perfect additions to the ceremony space. The staircase, accompanied by the dramatic tiered waterfall, was the most incredible entrance for the bridal processional and set the stage for an emotional ceremony. Bella Bloom created great depth and compositions with their florals for an overall sophisticated aesthetic. The brilliant Maui Maka Photography, who did an incredible job immortalizing this special occasion, captured every last detail and every last smile! Take a peak below at some of our favorite shots from this one of a kind Maui wedding. 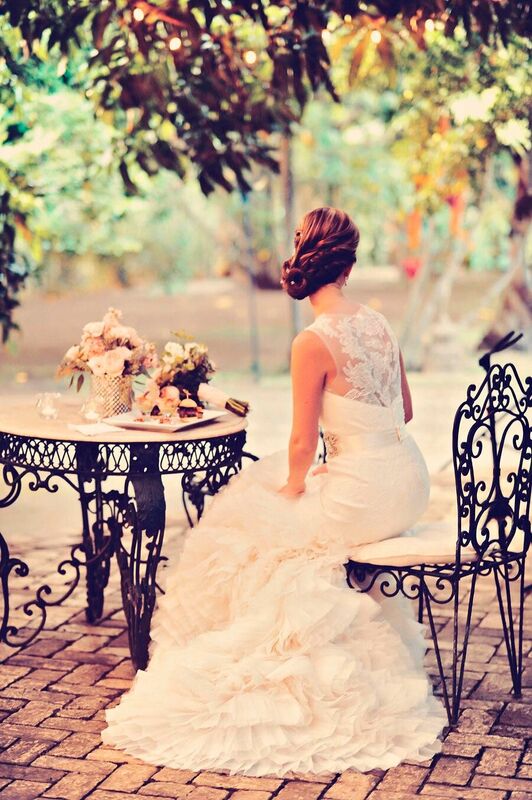 When it comes to your wedding day, it’s all about your vision as a couple and the merging of two to become one. 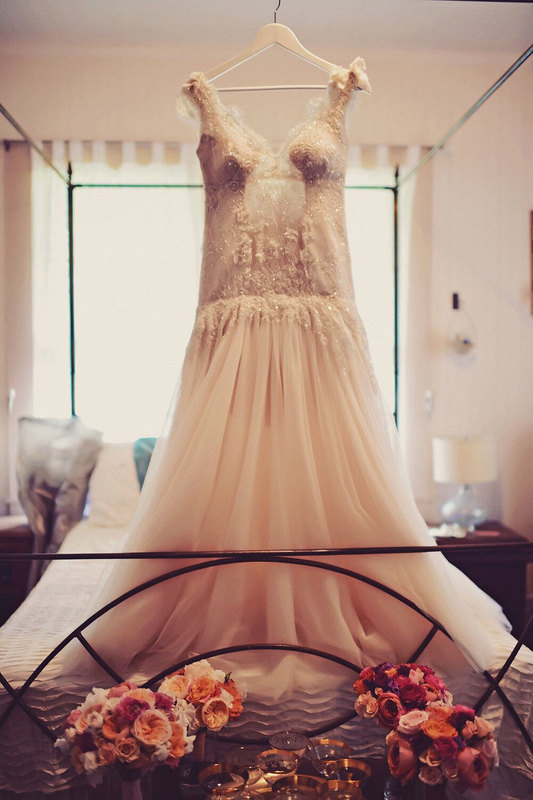 But, when it comes to your bridal style, it really is all about you! Island bridal style is a great opportunity to make a statement for your groom, and your guests. From bohemian-inspired dresses to couture gowns to everything in between, your island style wedding should epitomize your taste and personality. 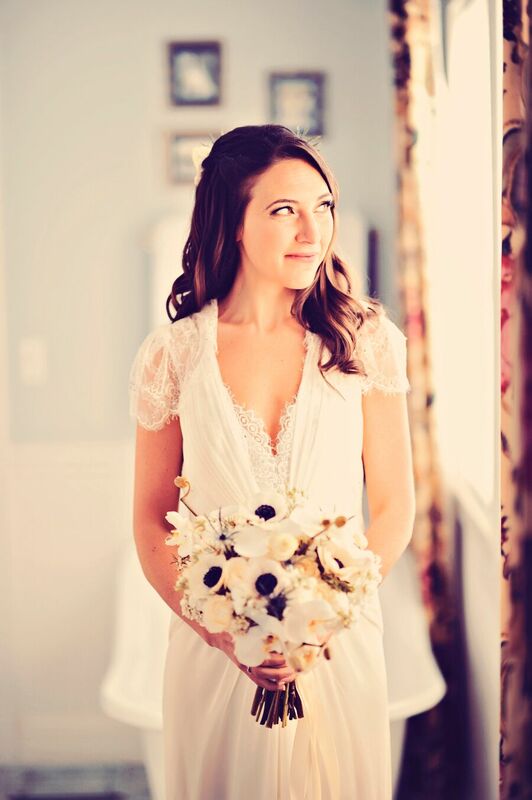 We love seeing a bride on her big day, and watching the months of build up culminate in the final look. Take a peak below at some of our favorite island style weddings, and hopefully draw some inspiration for your own island wedding day!